Digital downloads at iTunes and Amazon. ​Hardcopy CD available from TMF. Thomas Martin is Associate Principal Clarinet of the Boston Symphony Orchestra and Principal Clarinet of the Boston Pops Orchestra. Mr. Martin has worked with most of the world’s leading conductors, soloists, and entertainers, and maintains an active schedule as a soloist, chamber musician, and teacher. In 1998 he gave the U.S. East Coast premiere of Elliott Carter’s Clarinet Concerto at the Tanglewood Music Festival, and performed it once again in 2008 as part of Tanglewood’s Carter Centenary Celebration. Mr. Martin gave the world premiere complete performance of Carter’s Poems of Louis Zukofsky with soprano Lucy Shelton during the 2009 Tanglewood season. Unusually adept at straddling worlds of classical and jazz, he has given numerous highly acclaimed solo performances with the Boston Pops, including a nationally televised 1997 Evening at Pops performance of the Artie Shaw Clarinet Concerto and a 100th-anniversary tribute to Benny Goodman at Boston’s Symphony Hall and New York’s Carnegie Hall. 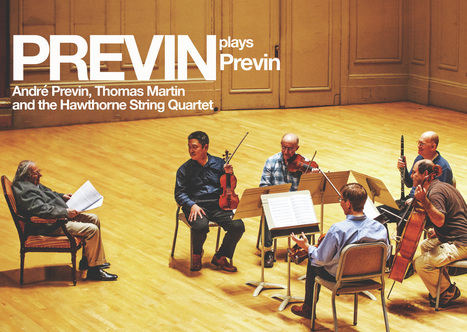 ​In May of 2010, Mr. Martin performed with the Hawthorne String Quartet at the Prague Spring Music Festival, where he premiered a new clarinet sonata composed for him by André Previn, with the composer at the piano. Mr. Martin recently returned as a featured artist at the 2016 Prague Spring Music Festival, performing the European premieres of two Terezín Music Foundation commissions: Miroslav Srnka’s Escape Routines and André Previn’s Clarinet Quintet. ​Since its inception in 1986, the Hawthorne String Quartet has performed extensively throughout North and South America, Europe, and Japan, including major festivals such as Tanglewood, Ravinia, Aspen, and Prague Spring. The Quartet has an expansive repertoire ranging from the classics of the eighteenth and nineteenth centuries to contemporary works. It has distinguished itself internationally by championing the works of composers persecuted during the Nazi regime, with an emphasis on the composers incarcerated in the Terezín concentration camp. For its broad-ranging discography, the Quartet has received international critical acclaim and awards, most notably the Preis der Schallplattenkritik for Chamber Music from Theresienstadt; and Belgium's Cecilia Grand Prix Special du Jury for their Pavel Haas and Hans Krasa String Quartets as part of London Decca's Entartete Musik series. The Belgian award was presented in recognition of "an exceptional undertaking and paying homage to an interpreter who has made a mark on the history of recorded sound."